It was held at My CookBook, Sunway Giza. (from left): Dynas with baby Khyra, Dr Khoo Paik Choo (Consultant Pediatrician) and commercial director of Disposable Soft Goods (DSG), Foo Yoke Mun. Dr Khoo addressed some common worries regarding newborns. Mothers, especially first timers worry the most. What you choose to feed your newborn is the first nutrition decision you will make for your child. Breast-feeding is the optimal way to feed a newborn. There is no need to supplement with water, juice or cereal at this point of time. Are you always asking if your baby is getting enough milk? According to Dr. Khoo, breastfeeding should begin as soon as possible after delivery. It is highly recommended that a mum breastfeeds at least 8-12 times a day. By the fourth day after birth, expect your baby to have six to eight wet diapers a day. Also expect regular bowel movements — often three or more a day. 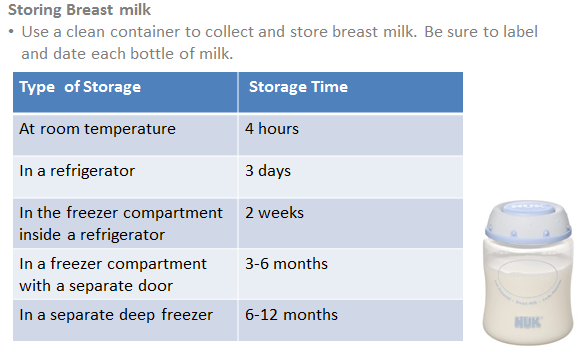 Do you know that if you store expressed breast milk well, it can keep up to 12 months? Working moms out there need not worry that their baby won’t be getting breast-milk once mommy returns to the workforce. My newborn is peeing a lot. Is that normal? Being new mums, like as if we have nothing else to worry, we always get ourselves anxious with the baby’s urine and stools. A newborn stool patterns differ from adults’. The frequency or consistency of stools depend on the individual baby and on the food he or she is fed. I remembered being extra anxious about diaper rash when I first got Ethan. I bought almost all type of rash creams available in the market just to make sure I have something to apply SHOULD Ethan get the rash but *touch wood* no such things happen! – Change your newborns diaper often, preferably as soon as it is wet or dirty. – Use fragrance-free disposable diaper. – Clean your newborn genital area and bottom properly after each bowel movement. Water is the best. – Let the area dry completely before replacing with a new diaper. – Make sure the diaper fits firmly, but not tightly. Is your newborn always crying? Are you at wits end as you don’t know why he is crying? Newborns cry to communicate their needs. “My baby does not sleep much“. This is one of the most common problems new mums face. A newborn may sleep as much as 12- 16 hours a day (or even more), often in stretches of 3 to 4 hours at a time. – Set a bedtime routine which includes a bath a gentle massage and soft music. -Maintain low lighting when feeding or changing your baby at night. Dynas also demonstrated how to clean a newborn’s umbilical cord and changing the diapers. Not for me… I'm outta here! LOL!!! ok.. did you go back and prepare for a 2nd girl? LOL! Preparing for No. 2? Good luck to you ya. Informative. Haha! So planning a second baby? Better be as cute as Ethan! Hahaha!! I'm sure Ethan doesn't use diapers already right? Pass some of the free diapers to me lar..hehe. Working on baby no. 2? Good luck then! I will take refreshing course when my kids marry.. help around with any little knowledge i can gather ma.. dont laugh! mine all backdated liow..
Arrr….newborn…all the night duties….I takut liao! ha ha ha! Yea, mums worry about so many things!! very informative for new mothers..